I know I said I was quitting modding, but.. in good spirit I will release ONE more mod pack for everyone. It will include a wooden ramp and 3 different rocks, if you have suggestions let me know and I will try and include them. Models done in 3DS max and painted in Substance. May continue in Mudrunner 2 but that depends how easy it is to modify. 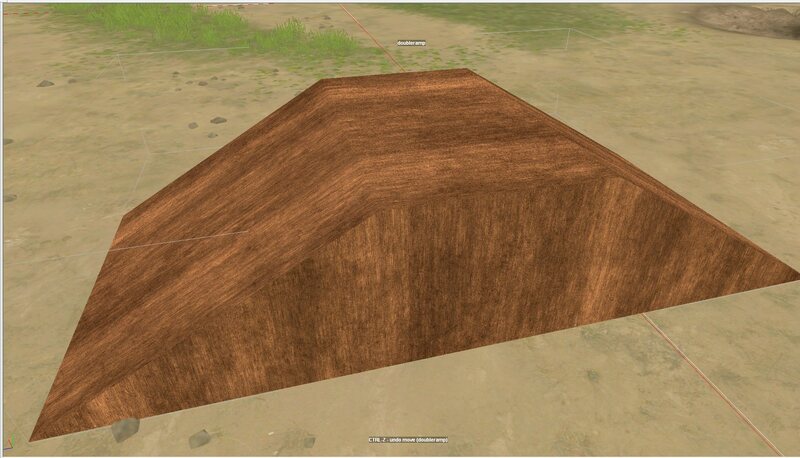 I am also looking at bump map terrain so it's not flat ground all the time. I may include new mud textures for when the wheels dig into the mud but I won't be rushing it. Bump map maybe difficult as my version of PS doesn't support it. Here's the ramp, few iffy bits but good enough IMO. why doesn't anyone seem to use Illustrator?? What for? Can I do bump maps with it? Illustrator isn't good for images/textures. Illustrator is more of a drawing program like Coral Draw was where you use a pen and tablet to make line drawings. I'm sure you can do some images in it but it's just not that user friendly for these type of images/textures. I tried it long ago and it just wasn't good. Photoshop is the one or Paint.net because it's free and can do almost all that PS can do. You can make a bump map from an image in Photoshop using the Nvidia plugins. It's been a while since I did it myself and forgot how to but you could find a tut about it on YT explaining how to do it. Thanks Tattoo. I have Photoshop CS5 only, is that able to do it? @digital-x not to make more work for you, but what about 2-3 types of stumps/roots to use as obstacles maybe? we have rocks and logs, so the idea in my head is stumps and roots. add one or two here and there in rough sections mixed in with the rocks and logs. seems like a small idea to me, but i feel it might just be worth it to have another type of obstacle to use for map making. think of them like this. stumps just off the side of the trail to winch to, but also having he roots as the obstacle to climb up/over. it would be the same as making rocks, but only a stump with root section instead. idk, it could also be way more work and trouble than it is worth too. I could try those, just thing cylinders, bent with "twigs" branching off, then textured up, should be fairly easy. Little bit more fiddly than what I do but I'm willing to try it. cool if you are willing to give it a go. my thoughts were just doing something a bit different than the usual norm for obstacles. _ i've flat-lined my learning curve. I'm just not able to advance to models and textures, overlays, ect. . i just checked 1,682 hours in the editor, and i'm stuck. i'm starting to envy you guys, that can get your ideas into the game. __Keep up the great work !! @digital-x, Them look pretty good Dx. 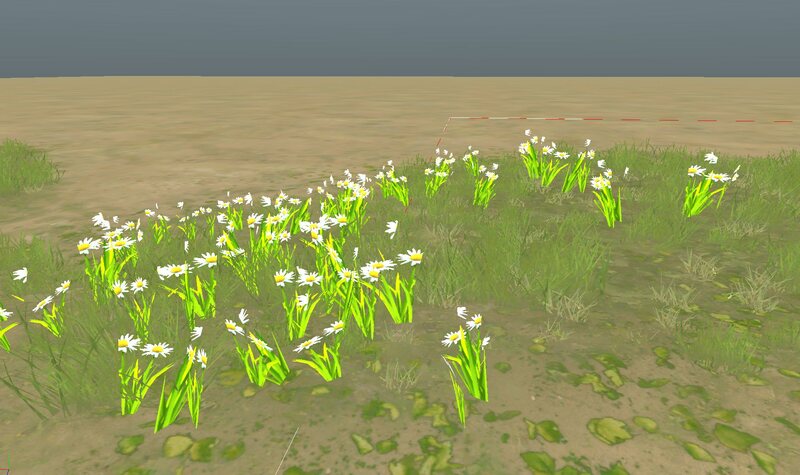 Did you skin them to move like the default flowers do?